Tank Shanghai during construction. Photo: Tank Shanghai. 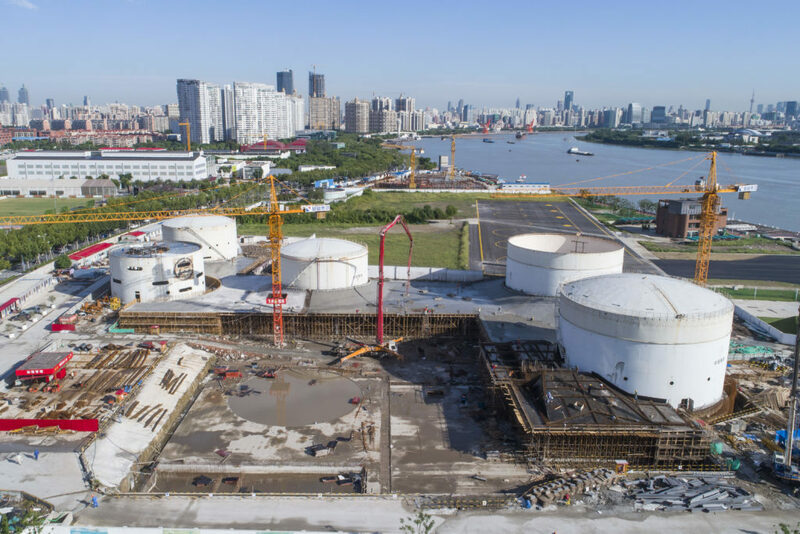 Originally slated to open last November, Tank Shanghai, the private museum project of collector and entrepreneur Qiao Zhibing, will open on March 23. The Beijing-based design firm Open Architecture converted five former oil tanks into the rotundas of the museum, which will make its debut with three exhibitions by artist Adrián Villar Rojas; the Japanese collective teamLab; and a group of contemporary Chinese artists, including Zeng Fanzhi, Yang Fudong, and Ding Yi. The government-funded West Bund Development Group, which has been transforming the city’s waterfront area known as West Bund into a cultural hub, approached Qiao to collaborate on the museum project over four years ago. Construction on the sprawling 645,000-square-foot venue began in 2017. An estimated 60 percent of the building will be used for exhibitions, while the rest will be government-administered public space. The museum does not yet have its own collection, though Qiao hopes to acquire works from forthcoming exhibitions.